London - A tiny, wireless pacemaker could offer some heart patients a surgery-free alternative to the traditional devices, a new study says. Some doctors, however, say there are lingering safety questions and warned patients not to rush to get the new technology. Unlike traditional pacemakers — which need a generator and wires and are implanted via surgery — the new pacemaker is a wireless tiny tube that can be attached to the right side of the heart using a catheter inserted through the leg. “This is another landmark in the development of pacemakers,” said Dr. Christopher Granger of the American Heart Association, who was not part of the new study. Still, he said doctors need time to learn how to use any new technology to avoid potential problems. “I would tell patients to be careful of being one of the first to get this unless there’s a compelling reason,” he said. In the new research, doctors in Australia, Canada and the U.S. implanted the mini-pacemaker into more than 500 people. After six months, nearly 7 percent of patients reported side effects including the device poking holes in their heart. 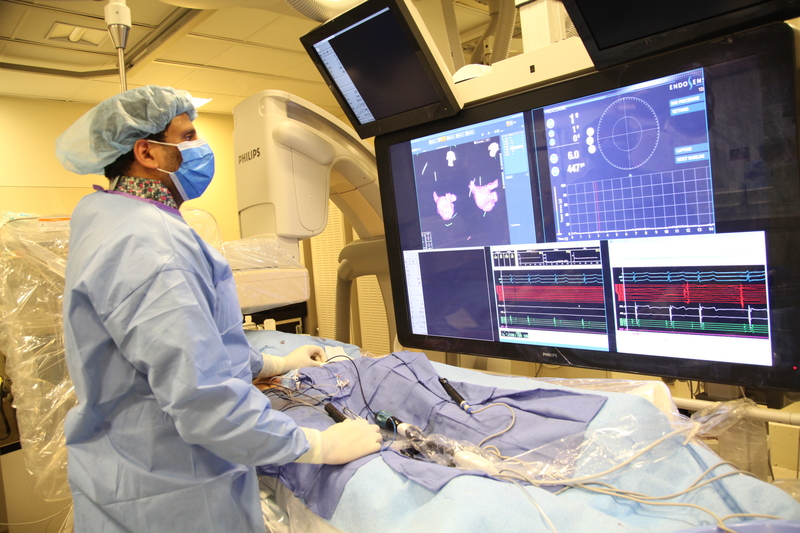 In comparison, about 10 percent of patients who get regular pacemakers suffer complications. The study was published online Sunday in the New England Journal of Medicine and is being presented at a meeting of the European Society of Cardiology in London. The research was paid for by the pacemaker’s manufacturer, St. Jude Medical. A study of the device in Europe, however, was twice stopped last year and in May when a worrying number of complications were reported, including one case where the device got dislodged and stuck in the artery leading to the patient’s lungs. A similar pacemaker made by Medtronic is also licensed in Europe. While most pacemakers have wires connecting the device to the right and left sides of the heart, the new device sits in the right ventricle and doesn’t coordinate the two sides. Experts estimated the tiny new pacemaker might work for up to 30 percent of patients. Many doctors in Europe are still wary of the new device, which is at least double the price of a regular one. Dr. Jose Ramon, president of the Spanish Society of Cardiology, said his hospital only implanted the new pacemaker in about a dozen patients last year, compared to approximately 500 patients who got a traditional device. “It can’t monitor patients remotely, so they have to go to the hospital for checks,” said Dr. Jagmeet Singh, a spokesman for the American College of Cardiology.